What is hiding in those underground tunnels under the village? I found this door in the basement of my tree house today and decided to open it. It has been there forever, I notice it each time I go down to get a nice bottle of wine from the cellar to drink with NanaLou or Reg when they visit. I followed the instructions on the terminal room. Andrew is right. I have uncovered a vast underground labyrinth of tunnels and corridors. While I have encountered a large number of locked doors along my explorations, I have in one instance found a room within which I have discovered a piece of functioning network hardware. I spent hours looking before I came across this room. I then spent as long trying to find a way to add to the digital message in a bottle but I think I succeeded. As started to find my way back to my tree house at the Burgeron’s, I got lost again. Luckily I had my phone with me. The memo recorder and torch apps worked well. I need to rest now, it was a close call this time. I should have just used the transporter. I hope Andrew gets my message. I discovered there are underground tunnels in Cardiff (UK) and found some amateur footage of these. I used the Tiny Planet app to create the movie at the start from a still image. Sound effects from iMovie and discovered Window < record voiceover on iMovie. Then used audio effects to create Dr M’s voice. The plan was not for a monster to attack me but Gifadog will insist on taking the limelight whenever I record. Just a bit of fun for a rainy sunday. “What is this?” thought the emperor, “I do not see anything at all. That is terrible! Am I stupid? Am I unfit to be emperor? That would indeed be the most dreadful thing that could happen to me.” “Really,” he said, turning to the weavers, “your cloth has our most gracious approval;” and nodding contentedly he looked at the empty loom, for he did not like to say that he saw nothing. This must be the earliest recorded case of Impostor Syndrome! 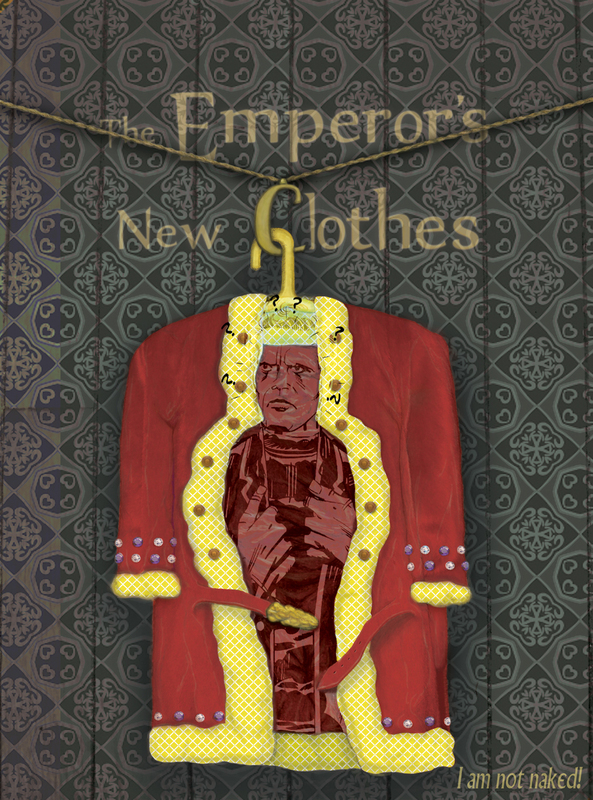 The emperor does not even trust his own eyes and walks out naked to meet the crowd. The people around him claiming to see the most beautiful suit even as they see him naked. Only a child on seeing him speaks the truth. The crowd turns on him and points at his naked body. The tale ends, in its original format, with the emperor saying ‘I must bear this till the end’. Even if I know I am naked and the crowd knows I am naked, and I know they know I am naked, I must keep up the pretence of being dressed until the end. I happen to have loved this tale as a kid. Themes in it echo those of The Prisoner in the next village where I am working at the hospital. Who can tell the most convincing lie? How having hierarchical power does not inoculate you from even the prisoner telling a good tale that can destroy you; the importance of what ‘a majority’ chooses to see and how that majority is easily convinced that white is black and black is now white. Questioning everything constantly and believing nothing. I guess I will be having lots of sessions with the family this week after such disheartening messages about how humans can behave towards each other. I have my memory machine ready to record and also some tapes to show them memories of the great kindness and trust the family has shown to others now and in past generations. Thank you to the lovely Jonah Stern for allowing me to remix his lovely image for this assignment. Thank you to our retired eminence in the other village for his animated gif that gave me just the right frame to transform and adapt to fit inside the coat. 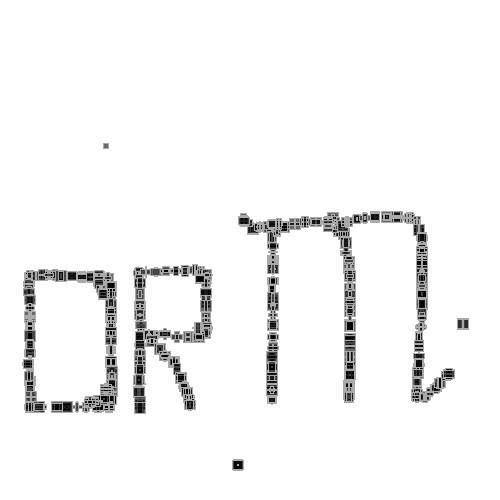 Little questions marks a png file put in place with free transform. 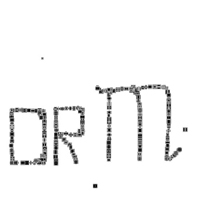 Village font for the alternative take on the ‘I am not a number!’ the prisoner constantly repeats. Hoping I can add this to the ‘minimalist book cover’ assignment with a twist! 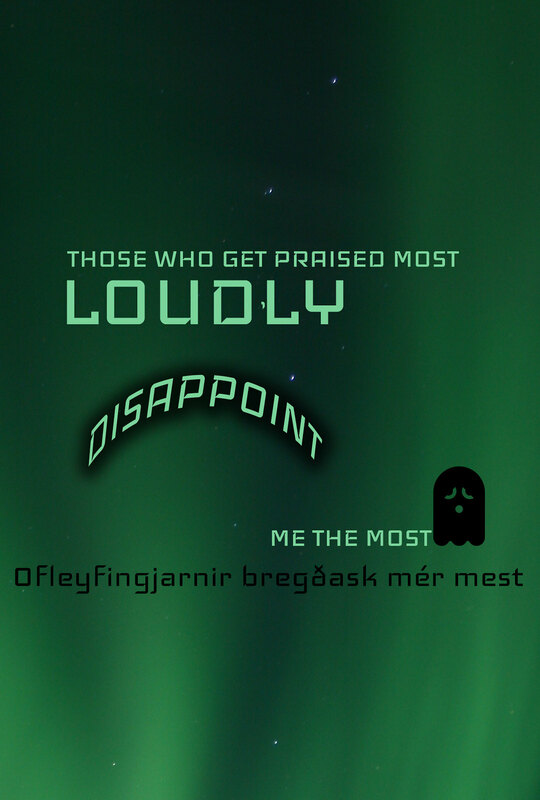 Iceland font is public domain. Awesome. This time font kept constant and just playing with other parameters to show meaning. Background is Iceland Sky from Wikimedia. This is such a fun assignment. Design and visual storytelling with words! be illustrated by using only typography. Consider how the font, color, sizes and placement of the typography can reflect or emphasize the meaning of the words. And I promised I would tell you about my time in Buenos Aires dancing the tango, my dear Windmill. – Oh, yes! I am ready to hear that tale dear butterfly. Buenos Aires? That is very far away…in South America, I believe. – Well let me tell you a little secret, I was born there. And so it was that when I was old enough, old enough to be sad to leave, I had to fly far away from my country of birth. Life was too hard there for me and my family so we flew away. I never forgot the tango. I used to sit on a tree in La Boca and watch the humans dancing the tango on the street. They were free to dance on the street! I so wanted to dance! So every day I would get the chores done at home and before school I would go to La Boca to watch the dancing. I could not get enough of it. I wanted to learn but I kept being told I was too young and anyway butterflies do not dance the tango. In Argentina or anywhere else. I just kept coming to watch anyway. And then one day, I felt something touching my wings. – Would you like to be a human and dance the tango for a day? I can make that happen for you. I am the Butterfly Fairy. – Yes! Can you? Really? – I can. But only for a day and then you will never fly again. But – said the windmill- no more flying? You do still fly. I am confused. …and at the time I did not know I would again. The Butterfly Fairy was testing my passion for the dance, she never planned to leave me flightless. And I said yes from the bottom of my heart. I wanted to dance more than anything in the world. – come back tomorrow and we will do it right here – she said and disappeared. I could not sleep a wink all night. I was going to finally dance the tango the next day. It was painless. The change, I mean. I had done it before when I became a butterfly. after all. And I danced and danced all day until I could barely stand. I went to sleep and then woke up a butterfly again. Time passes and even those moments you want to hold forever dissolve back into the earth. But after that day I was not the same. Flying had lost its lustre for me. Why fly when you can walk and dance? When you can touch the ground with your feet at each step? I finished school and things were tough at home as I told you earlier. I did not help matters at home always mopping and wishing I could walk. My family decided to fly away and leave Buenos Aires for Europe. I still remember the boat leaving the harbour. We were not strong enough to fly across to the other side of the world, so we settled on a boat that was making the journey whilst we could rest for most of the way. We did not know what awaited us the other end. Well, as you know what awaited us was life in Holland and getting to know you and being best friends with you. So it was not all bad. Yet, I missed dancing for a long time. Then, one day I realised something. If a stopped flapping my wings and let the wind carry me, it was just like I was back there in La Boca dancing the tango. And ever since I discovered that, it is like I am dancing the tango every time I fly back here to see you. And that is why everyone calls me Tango Butterfly. I have been dithering about this story for too long! So I went back to the story spine and used it to structure my first fairy tale. I am sure it can be improved and I am really happy for any of you storytellers to edit this post to your heart’s content. I just wanted to get a story out there and then build on it through the summer. I want to add gifs to it and make it into a multi-media experience. But not tonight. @NanaLou022 @ronald_2008 @mdvfunes @JanWeb3 @konarheim Mama Boo would love to do a bear voice for reading 3 bears. Anyone wanna play? What’s really captured the attention and imaginations of the family at the Burgeron place has been the new transporter retrofit at Dr. M’s tree house. What innocently began as “gawker” trips to The Prisoner106 Village have become more and more frequent and some members of the family have succumbed to the sweet siren’s call of #Prisoner106. They’ve handed in their resignation and received their official village ID cards in order to partake of the full amenities available to the compliant residents of The Village. Upon seeing this alarming development I made a plan to infiltrate The Prisoner106 Village to keep my Burgeron106 family safe and help them escape should that prove necessary. Becoming a resident of The Prisoner106 Village retirement home was an obvious fit. With the added benefit that I could feign sudden on-set dementia and Alzheimers if I got caught and they pressed me for information. @NanaLou022 Welcome to The Village of #prisoner106! Be seeing you! If you escape, say Hi to my #burgeron106 buddies. Some are still free. To get my credentials I was able to forge a fake village resident card by hacking into the the Village Office computer, downloading their layered PSD file and creating my own card. It was an easy hack. Minor issues I had to deal with were downloading the official village font (Village.ttf available at dafont.com or Village.ttf available at theprisoneronline.com) and deciding what my village role would be: explosives expert (read more…) and Biomedical Engineer so I’d have easy access to the hospital. My quote was trickier. 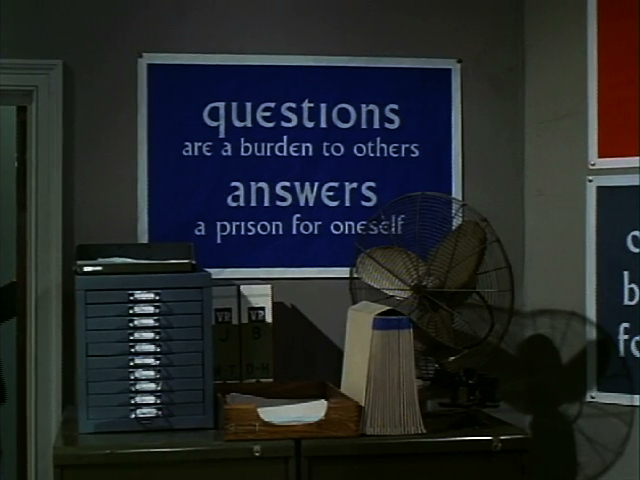 I wasn’t familiar with “The Prisoner” and hadn’t started watching the secret tapes yet that I’d found. So I pulled up Wikipedia to peruse popular Prisoner quotes until I found one that I liked. Another troubling development is what appears to be a glitch with Dr. M’s transporter technology. I’m quite alarmed. A little background research on her transporter technology developers should raise eyebrows as to their technical mastery. I’m questioning whether these guys have even a minimal understanding of Einsteins Theory of Relativity. It turns out that when she uses the treehouse transporter time stops in Bovine County until she returns. How is this going to impact our Fairy Tale Festival? If time stops here in Bovine County while our family is away, when they return will it be as if nothing unusual had happened and we simply pick right back up where things left off? Am I the only one who realizes this time stopping phenonmemon is occurring? Will it be okay to let the family run their course with the #Prisoner106 village until they have reached their fill? 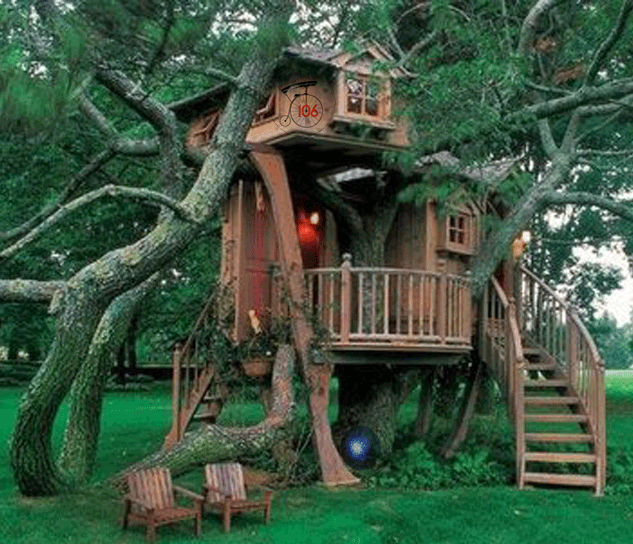 I have arrived to the family home and am comfortably settled in my tree house as usual each summer. 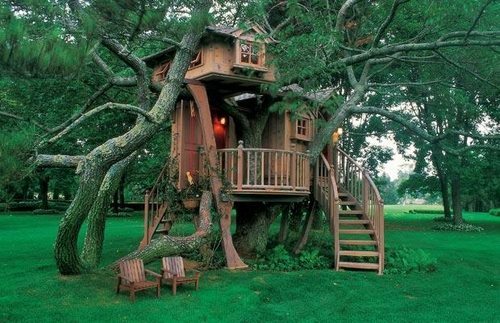 As you know my tree house is very special. It is definitely larger on the inside and is often in the news. What you may not know is that I had some adaptations made to it specially for this summer. We know about our time cycle and the adventures we can have there. Well, I wanted something like it for my tree house. I consulted with many excellent engineers and they have added a teleport button to my lovely house for this summer. Just like the other doctor! 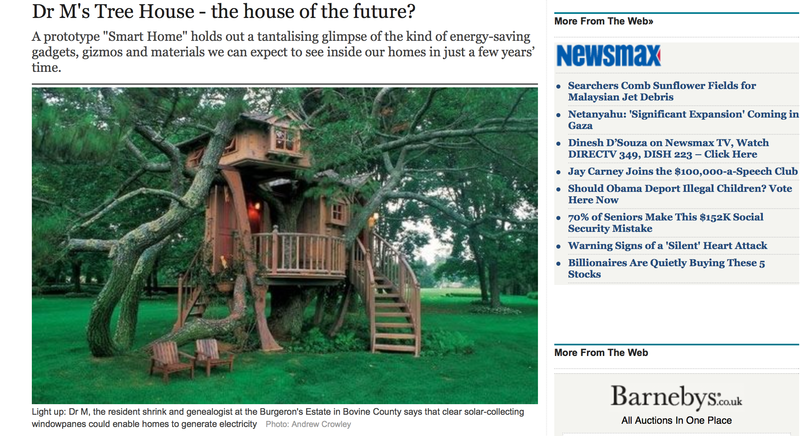 the technical term is Tree House Materialisation or THM. If you load this file and this file into JJ MacGif new clever contraption here, you can hear the tree house materialising as an audio gif! He is so clever. I used this other clever gadget to get the right format file from Soundcloud. I still need to make cosmetic changes as I need to add my badge for the other Village I am visiting this summer to my front door. I also promised to bring a set of Jim Groom’s for the whole family from the there! I will leave the box of them out in the front porch of the trailer so that NanaLou can distribute to the family during the festival or before. Our holiday adventure begins. In the ‘other’ village I am working at the hospital so it is not going to be as relaxing as visiting the family here. Although I hear that some family members are struggling with their identity and may need a few sessions on the couch this summer. I plan to make sure that our screening room in the tree house has many good video fairy tales to inspire our writing this summer. I also think we need to tidy up our media library or we will soon run out of space. Can I ask the members of the family to remove anything they do not need for this year extravaganza and move it to the shared Google Plus folder not the Dropbox as this folder takes up space in the family’s computers. A busy summer ahead, I shall look forward to writing my epic fairy tale ‘Tango Butterfly’ for the festival this summer too. Merry Music – But who’s Metadude? That Magic Memory Mirror is cool- made my first visit this week. I’d remembered little snapshots and soundbites of song & sound from our lost week, but the mirror revealed a whole lot more that went on. Our Trailer Song continued to be a hit throughout the week. The children were all dancing and singing to the Burgeron Children’s Song. And the ABC Song was a hit with the real little ones. It wasn’t clear who commissioned it, but little Sally Lou and the other Burgeron children had a cute cow song for our sweet Anna Cow. Although Don Burgeron was rockin’ the joint with his version of “Who Let The Cow’s Out“. There were group singalongs, requested solos by Nanalou, myself (Rochelle Louridge), Mama Boo and Cousin Ron. Dr. M even had a go (after she’d had a bit too much of the ol’ Burgeron Backwoods Brew.) The Headless Inkspots were in fine form performing a great rendition featuring a banjo, ukelele and Strawberry Arizona washboard. 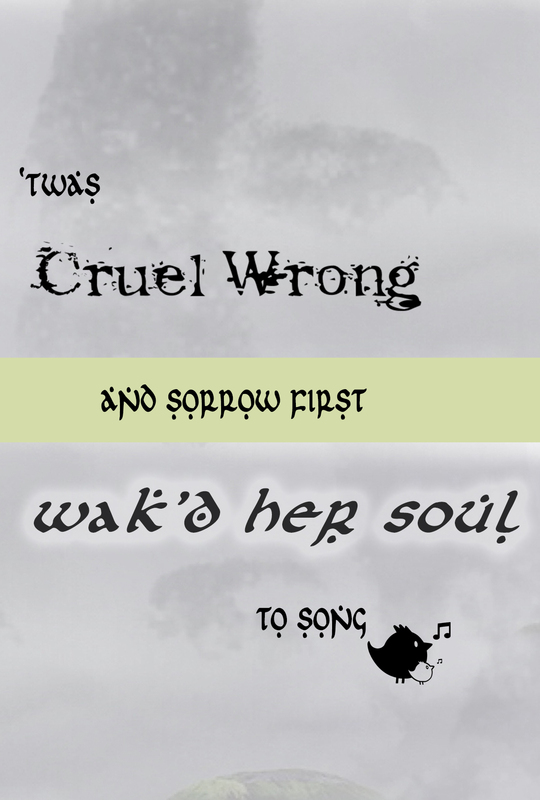 But that duet with Nanalou and Cousin Froid was… shall we say… an event that I am amazed any of us could forget. Cousin Ron was heard playing the old piano out in the cow barn behind the trailer. Who knew Little Ron Burgeron’s music lessons would pay off in the long run. Piano AND Guitar. The man has talent. But his moonshine induced croning over “Betty-Lou Schaeffner” was a sorry sight. Aunt Sappy was reciting love poetry in all manner of languages. Her German poem “An Anna Blume” was described as a parody of a love poem, an emblem of the chaos and madness of the week. But who’s this Metadude guy? Some of the Burgeron family members were really digging his techno vibe. But the mirror only let me hear the music and allowed me to catch a few glimpses of the story. I’m really curious now. If anyone has any more detail please share with the rest of us.